In the wake of thousands of dogs becoming sick from treats manufactured in China or other locations around the globe, some U.S. suppliers have discontinued selling non-American made treats. This action has led many concerned pet owners wondering whether dog treats from other countries are safe. Unfortunately, dangerous contaminants do have a history of making their way into dog treats. Despite the Food and Drug Administration’s (FDA) increased testing of pet food, products like jerky strips and other treats have been linked to salmonella, antibiotic residues, and other harmful substances. In some instances, dogs have become very ill. In others, they’ve even died. Thus, in order to decide whether certain brands of dog treats are right for you and your pup, let’s look at some of the background information. Federal law requires that all food, including dog treats, be safe and properly labeled. Yet, ultimately it’s the manufacturer’s responsibility to ensure that their products are safe to consume. Thus, although the FDA has the ability to fine or ban a company from selling tainted goods in the U.S., an investigation doesn’t usually begin until the FDA receives numerous customer complaints. The takeaway? Numerous dogs and other animals may have to become ill or even pass away before the manufacturer is issued a warning. 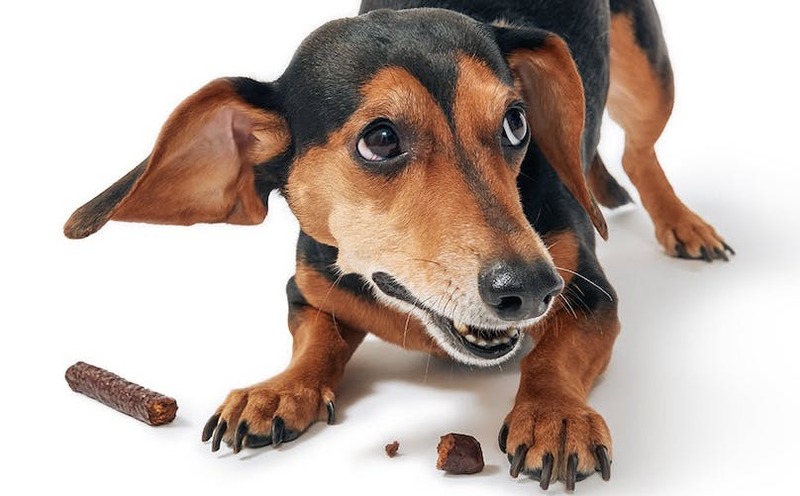 While a company is required to recall their tainted dog treats after receiving a warning from the FDA in order to having their products seized, this process can be time-consuming. In light of the fact that the U.S. is home to an estimated 90 million household dogs, the incidence of sickness or death from dog treats is rare. Still, even if you buy internationally-manufactured dog treats from a trusted pet or grocery store, your dog may be susceptible to non-high quality ingredients. What Can You Do to Prevent Potential Poisoning? Looking For Articles About Treats? Can Dog Treats Make A Dog Sick? What Treats Should I Avoid For My Dog? Can Dog Treats Expire? What Dog Treats Are Low In Fat? Should I Give My Dog Grain-Free Treats? What Dog Treats Do Vets Recommend?